Overeem is a range of single malt whisky from The Old Hobart Distillery in the Australian state of Tasmania. The state is the centre of the Australian whisky industry, which is now building a strong reputation, and is described as the 'Islay of Australia'. A number of distilleries and brands have been winning major awards for the past couple of years and this has brought Australian whisky to the attention of a wider audience. Having not tried many whiskies from Tasmania, we were delighted to be invited to a tasting of the current Overeem range recently. 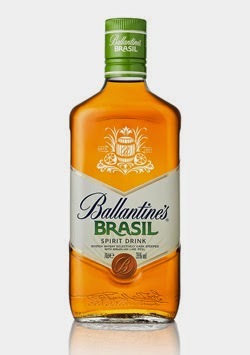 Ballantine's Brasil is a new spirit drink infused with lime and represents the first foray in to the flavoured whisky market by the famous brand. It will sit alongside the core range of blended whiskies, ranging from the best selling Finest to the 30 years old expression, in the brand's portfolio and is designed to bring new consumers to Ballantine's and the Scotch whisky category. The name evokes thoughts of cocktails and the tropics, plus having a clear link to this year's football World Cup being hosted in Brazil. It is bottled at 35% ABV and has been created by Ballantine's Master Blender Sandy Hyslop. 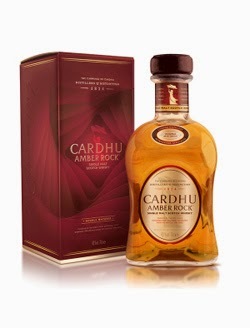 The Amber Rock is the latest single malt to be released by the popular Speyside distillery of Cardhu (pronounced car-doo). It will sit alongside the 12, 15 and 18 years old expressions, plus the Special Cask Reserve in the brand's core range. To create this new release, the whisky has been double matured in toasted American oak casks and is designed to deliver extra hits of citrus, honey, vanilla and wood spice. The new range of single malts from the Speyside distillery of Mortlach is one of the most anticipated whisky releases for a long time. Mortlach is highly regarded amongst whisky drinkers and previous bottlings have attained cult status. Now it is time for the whisky and brand to evolve and introduce new consumers to its delights and qualities. The new range is formed of four single malts - the Rare Old and Special Strength, plus 18 and 25 years old expressions. In this post, we will be concentrating on the two oldest whiskies in the range. To read our review and thoughts about the Rare Old and Special Strength - click here.